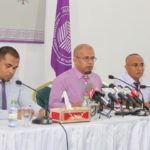 Preparations have been completed to conduct the third multi-party parliamentary elections in the Maldives on April 6, the Elections Commission announced Thursday. 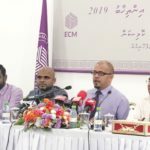 At the final press briefing before the polls, EC chief Ahmed Shareef assured voters they would not have to wait in queue for hours as most people did during September’s presidential election. “This time we have divided all boxes with more than 1,000 voters to two boxes. On average, this time there will be about 500 to 600 voters for each box,” he noted. In boxes with more than 700 voters, administrative desks will be in place to issue ballot papers to two people at a time, he added. Polls will open at 8am and close at 4pm Saturday afternoon. Vote counting will begin an hour after ballot boxes are sealed. Provisional results will be announced within two days and official results will be announced at the latest on April 12, Shareef said. In overseas polling stations, voting will begin at 8:30am local time in India, 8:30am in Sri Lanka, 11am in Malaysia, and 9:30am in the United Kingdom. Campaigning will be illegal after 6pm Maldives time on Friday. Shareef also noted that a notice will be placed at polling stations to advise voters that ballot papers with symbols or drawings other than the check mark next to the candidate’s name will be invalidated. Tagged ballots that allow observers and candidate representatives to identify votes during the counting process were counted as valid in September’s election. But amendments to the electoral law to invalidate such ballots were ratified last month. A new “ground manager” will be active at polling stations with more than one ballot box to help direct and manage people into queues. 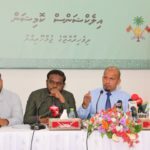 Unlike previous elections, officials will also stamp ballot papers before they are handed to voters, Shareef told the press earlier this week. 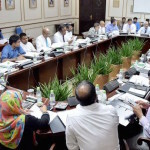 The five-member commission was accused of rigging the vote in the wake of former president Abdulla Yameen’s heavy defeat in September’s election. But the Supreme Court rejected the incumbent’s petition for fresh polls, citing lack of evidence to substantiate allegations of disappearing ink, chemically-treated ballots and “pen-rings” used by officials. 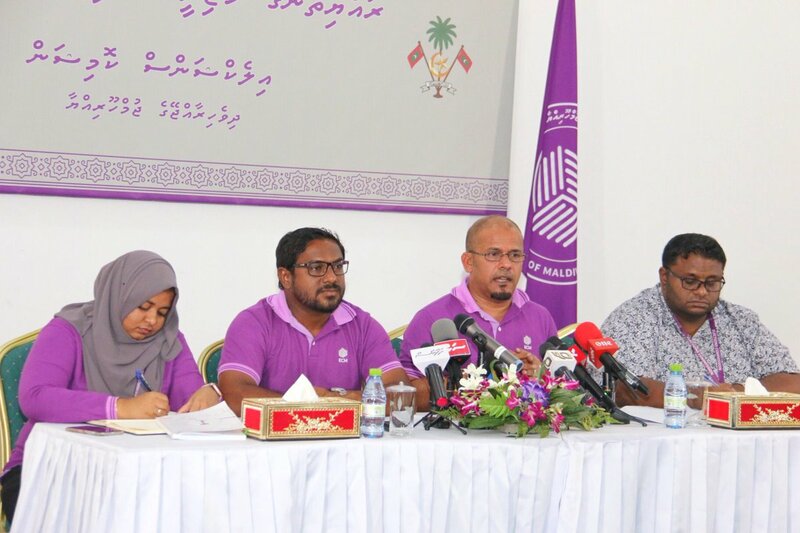 Meanwhile, on Thursday, the High Court rejected petitions from seven people who sought court orders to add their names to the Thimarafushi constituency. The seven people failed to submit cases within the five-day period required by the law to contest decisions made by the EC over formal complaints. 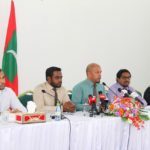 The seven people had changed their permanent residence to Thimarafushi after the voters registry was finalised, the court noted. Of 20,875 people who sought to register to vote at a different location, 19,596 people’s application forms were approved. Nearly 80,000 people had registered to vote outside their island of permanent residence for September’s presidential election and they were not required to do so again unless they wished to vote at a different location. 218 candidates signed voter lists that will be used at polling stations. For 17 ballot boxes, none of the candidates showed up to sign the lists. 307 ballot boxes in the atolls, 144 boxes in the capital Malé, 33 boxes in the resorts, eight boxes in overseas polling stations in Sri Lanka (four boxes in Colombo), India (one box in Trivandrum), Malaysia (two box in Kuala Lumpur) and England (one box in London), five boxes in jails, and four boxes in industrial workplaces. 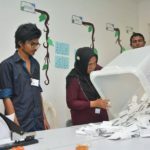 Of the 144 ballot boxes in Malé, 43 boxes are for constituencies in the capital, including three boxes each in the suburb islands of Vilimalé and Hulhumalé, and the remaining 101 boxes are for voters from other islands across the country who reside in Malé. 2,208 monitors from domestic and international media organisations, including reporters from The Hindu, All India Radio, Doordashan News (India), and Asahi Shimbun (Japan). 2,073 observers, including officials from the European Union, Commonwealth and the Asian Network for Free Elections as well as elections officials from Georgia and Jordan. As voters for the 87 constituencies will be spread over the 501 ballot boxes, the EC will have to prepare and verify 8,631 different result sheets. Complaints as of March 31 included two related to registration, eight complaints about re-registration, three complaints about alleged bribery, 33 complaints about electoral constituencies, eight complaints about voter lists, six complaints about the ethical standards of election officials, four complaints about campaign activities, four complaints about alleged influence over the rights of candidates, one complaint about candidacy, one complaint about forgery, and one miscellaneous. 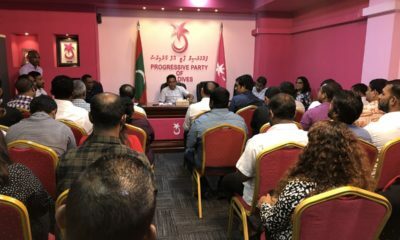 Complaints submitted to atoll bureaus include one each about re-registration, electoral constituency, and the ethical standards of an election official.